In exchange for granting bad credit zero down car loans to those with subpar credit, lenders may charge higher-than-average rates of interest. This is a normal practice which is designed to minimize risk. In addition, information about the value of the vehicle being purchased will be required. Lenders need this data in order to determine whether the risk of lending to you is balanced by the book value of the car that you will be buying. The reality is that borrowers default on these forms of loans more often. Therefore, lenders take care to minimize their risk via a careful research phase. While higher interest rates may be considered a downside, as no one really wants to pay high interest rates, these elevated interest rates are simply the cost of accessing a no-money-down loan when poor credit is a factor. In some cases, it won’t be possible to access auto financing in any other way, so most borrowers are accustomed to paying higher interest charges which are associated with these type of car loans. A reputable lender will look at your financial situation and do all that is possible to minimize the amount of interest that you’ll need to pay. 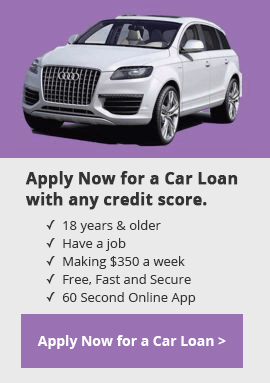 Bad Credit, No Credit, No Problem…our online application takes just 60 seconds to complete. Apply Today, Drive Today! Why you need Car Insurance before you Buy a Car. Our 1-Page App Only Takes 60 Seconds to Complete! *Freedom Auto Financing LLC currently accepts 100% of all valid loan requests for processing where a program is available based on your zip code and stated income. Freedom Auto Financing LLC is not a lender and does not make credit decisions, so any pre-qualification, approval, finance terms and APR will be at the sole discretion of the participating lenders or dealers.